In this article we will learn how to work with Graphical User Interfaces(GUIs) in Unity. 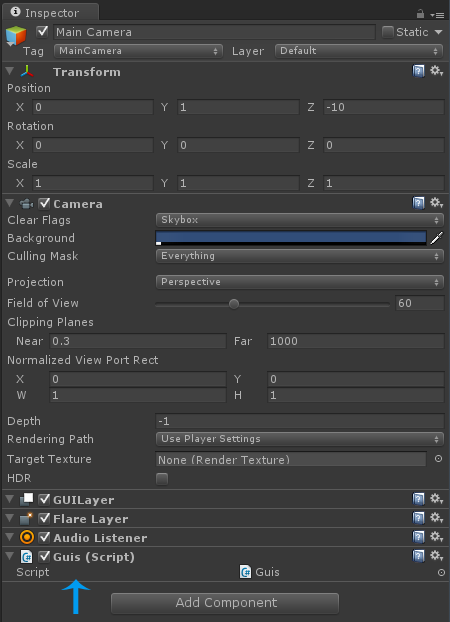 We will start with very easy things like Buttons and then go into more complicated techniques like the difference between Unity's GUIs and GUILayouts. This is the basic Unity code for each component that we create. The Start and Update methods are two of many methods that Unity calls in each component. Unity has a special function like that, just for all GUI stuff. It's called OnGUI. Let's add the OnGUI function and remove the Start and Update functions since we don't need them in this article. Note: make sure to name it exactly OnGUI, and not onGUI or similar. 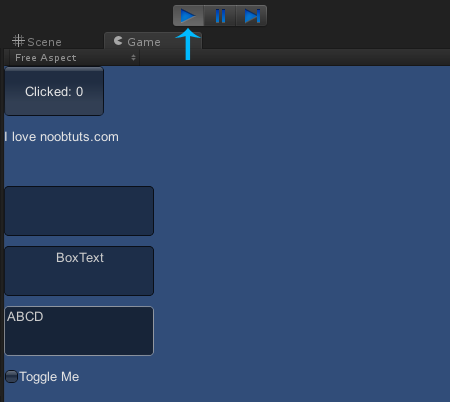 The GUI.Button function just needs to know the area and the caption of the Button. The area was created with new Rect(0, 0, 100, 50). It means that the Button is at the position 0/0 (which is at the top left of the screen) and it has a width of 100 pixels and a height of 50 pixels. After saving it and pressing play again, we can see the effect that happens after clicking the Button. Note: since we want them below each other, we always change the second paramter in the Rect a big (the y position). Incredibly simple. It's most likely as simple as a GUI system can be. With the previous methods we always used a Rect to set the area of the GUI element. 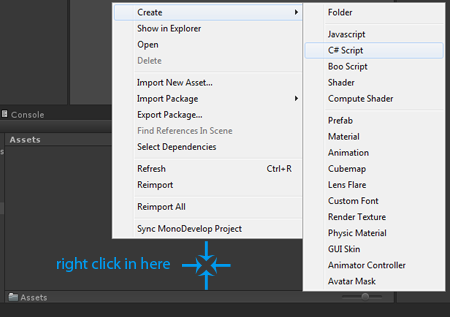 For the lazy, Unity offers a alternative that works without Rects, called GUILayout. When making GUIs with GUILayout, Unity calculates the optimal position and size of the GUI elements automatically. Note how this time we use GUILayout.Button instead of GUI.Button and without the Rect parameter. Unity realized that we want to draw two GUI elements. Obviously we do not want them on top of each other. Last time we positioned the Label below the Button by modifiying the Rect y value. 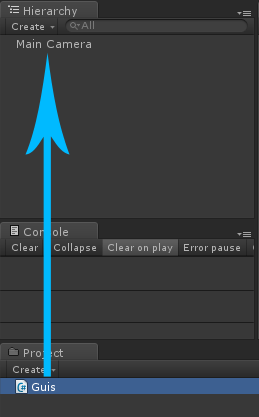 This time we have no Rect, and Unity automatically realized that it has to place the Label below the Button and give both elements an equal width so it looks properly. Awesome! We just learned the fundamentals of Unity's GUI system. There are a lot more features like drawing images, creating moveable windows, creating scrollviews and so on. With the knowledge that we have now, all of those other elements are straight forward to understand. An in-depth documentation about them can be found in the Unity script reference at GUI and GUILayout.